This month we are exploring Approachability, the process of removing barriers to entry for new players. Last week we wrote about the invitation phase of approachability and how games can ease the daunting aspects of a new game. This week we’ll look at how to build on this foundation using theme, mechanics and structure. The result is a series of ideas that can help acclimate a beginner to the game and encourage them to achieve the intended game experience. Clarity: What can I do and why should I do it? Navigation: Give players a push in the right direction. Parsimony: Ease the cognitive burden on players and remove distractions. Assurance: Reward the player for participating through positive reinforcement. I see, how do I get victory points? So the buildings generate victory points? This is certainly an exaggeration, but in some cases this imaginary game doesn’t seem that far from the truth. Such a game would lack Clarity as the objective of the game (VPs) is so distant from the immediate actions on a turn, a new player can’t see why they would perform one action other than to set-up the next action in a long chain. The game lacks Parsimony as it appears to be an extended series of cycles, some of which could be classified as excessive. The game demonstrates little Navigation as players need to reference or memorize a series of mechanics in order to perform well. There is no indication of the volume or frequency players should be performing actions in order to score competitively. Lastly, players will have no idea if playing the game was worthwhile until it comes to a conclusion. Assurance would help fill the void of any of the previous items and encourage the player to invest their time in enjoying the game. Clarity is the process of framing the options available to a player during a turn. Hopefully purpose has been established by providing the player a long term target and now we need to show players their available choices. Game designers often discuss immersion; surrounding the player with the ambiance of theme and make participants feel enriched by the environment. I know because I’m guilty of saying this too, but in regards to making a game more approachable, this can all too often create additional problems. Immersion is really up to the participant, whether they want to engage in an aspect of a game or not. As we mentioned in the previous article, theme does little to create familiarity with an audience. However, it is a useful tool to provide context to players about their available actions during the game. Brad Brooks of League of Gamemakers recently wrote a great article on Vegas Showdown. His write-up got me thinking about how the theme in Vegas Showdown at least partially reinforces the context of the game mechanics. Players are competing to build the greatest casino and as in reality, new casinos attempt to become the most luxurious and grandiose destinations. Players are competing over amenities, entertainment and unique attractions. Players gain income based on the lower value of their revenue or population, as casino games and patrons both must be present to generate business activity. Other mechanics in the game build on these ideas and Vegas Showdown does a good job of framing some of the actions players will be performing on their turn. It is important to keep in mind that theme can also be misleading in games. In Around the World in 80 Days, the board and mechanics indicate a racing style of game. Many new players will play it as a sprint, moving from location to location at every opportunity in order to circumnavigate the Earth and return to London first. The mechanics can even appear to reinforce this idea as a player is rewarded for being the first to arrive at each location. In reality Around the World in 80 Days is a game of efficiency and the winner is determined by the player who makes the trip in the fewest number of days. This may seem like a minor distinction but players have been led astray by less. As we’ll cover later this month, players should arrive at the end of the game with an understanding of why they performed the way they did. Theme can even be restrictive to the tone of a game. Vinci is an excellent game design about the rise and fall of empires that reached even greater levels of success once it was re-imagined as Small World. Small World takes place in a far less restrictive fantasy realm. For whatever reason the logical justification of Flying Giants seems to make slightly more sense than Flying Romans and explaining special powers through mysterious magical forces is perhaps the easiest way to do so. Fantasy is the “artistic interpretation” of themes, which is to say some things just don’t require a logical explanation to provide context. An alternative to providing context is of course to do away with the need for it entirely. As I covered briefly in February, the minimalism approach in abstract games can help a game “get to the point” quickly. Removal of theme could be beneficial to help the player to see the mechanics of the game and the player may face fewer obstacles in their ability to develop early strategy. Some of the most popular games such as Checkers and Backgammon allow players to jump right to the gameplay and don’t attempt to thematically justify why the rules exist as they do. The greatest purpose for Clarity in game design is to fulfill the player’s need to see how their actions achieve results. Gamers frequently learn by doing and game design can help by demonstrating a cause/effect relationship. Creating a relationship between the immediate actions and the final objective will greatly improve approachability and most importantly – help new players find their way. As we discussed in the previous article, racing games use the most straightforward objective available. The objective of a game like Lewis & Clark is simple to grasp as the goal is clear: be the first reach the Pacific coast. Players then begin to interpret available options in terms of advancement and can observe the distance remaining to the finish line. A similar stationary objective is present in Blokus, players win by getting rid of their pieces and are essentially penalized at the end of the game for remaining pieces based on their size. Players can begin the game and immediately see they need to use up their resources but also have a reason to prioritize by getting rid of the largest pieces early. Similar to the scoring in Golf, players wish to minimize their score and can weigh their options appropriately. In Colonia, players attempt to collect the most victory points but there must perform a number of cycles in order to transition their starting resources into points. Players begin with family members which are represented by cubes in the game and exchange them for raw material resources such as leather, iron and wood. Players then craft goods using the resources, pairing things like leather and iron to craft a saddle as a good. Players then will load these goods onto ships in order to accumulate currency. Finally, currency is used in the final phase to purchase relics which will score victory points. Colonia is an impressive game design that has a wide distance to the objective as players exchange cubes and resources several times before eventually increasing their score. While most games don’t have nearly as many cycles as Colonia, this is a great example of how cycles can affect the clarity of a game. Each additional cycle distances a player from the final objective and causes the game to be more difficult to grasp for beginning players. Clarity is extremely helpful to players in understanding specific options but as games grow in complexity the sheer number of options can become daunting. When the available options become numerous and well-balanced there is a need for a sense of direction to help players prioritize their actions. The axiom of Navigation allows players to make these decisions and avid being bogged down by opportunity costs. Many years ago I remember walking into a game store and begin down a path that would eventually lead me to writing this blog about game design. At the time I knew very little about modern board games and I remember wandering through the store and being mesmerized by the number of titles on the shelves. The first technique in providing Navigation is to point players in the right direction and allow them to find their own way. The most common method is to give players incentives by awarding point bonuses for players who undertake certain actions. In Ticket to Ride players initially select among tickets in order to gain a starting task. This helps to simplify or breakdown the information a player needs to interpret by giving them one area of the board with which to become familiar. By completing the route the player is rewarded by improving their final score. Ticket to Ride uses this as a great starting point as it gives players a an early choice and exposure to one of the three primary actions in the game which is also the one used the least during the game. In Bora Bora players have plenty of options available in which to to focus and score in during the game, from expanding across the islands and placing huts to collecting men and women to provide benefits to accumulating cards to activate special actions. The number of options in Bora Bora can be incredibly daunting to a new player and fortunately one of the scoring opportunities provided to players are task tiles. The tasks are generally moderately difficult achievements players can complete as they take their actions over the course of the game. Their function is tremendously helpful to new players as each player is afforded three mini goals they begin to accomplish during early turns and which will benefit their score without leaving them in an non-competitive position later in the game. Route tickets are a core element of the gameplay of Ticket to Ride but the task tiles in Bora Bora is only one of many opportunities to score points. While Ticket to Ride benefits from a very straightforward goal mechanic as a gateway game, Bora Bora uses the task tiles to reduce potentially overwhelming opportunity costs in the game. As the game provides little direction, the tasks can help to sway players to focus in one or more specific areas of the game. While in-game goals are a great way to get players moving in the right direction an alternative method is to manually steer players through the process of playing by breaking the game down into bite sized pieces. When a game asks a great deal from a player, a game designer can simplify the burden of the player using isolated phases. Implementing phases can help move all players at a similar pace. Additionally players don’t have to memorize an entire series of actions as they don’t need to perform steps A, B, C, D & E before the next player performs the same routine. New players may mix up the order or forget to take certain actions if they must execute a lengthy turn all at once. Players take turns drawing elements. Players take turns claiming compounds. 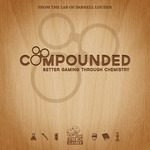 Players take turns placing elements into compounds. Players perform a clean-up phase, score and prepare the board for the next round. The repetition of the phases allows players to focus on just one action at a time rather than be burdened to plan out all four actions prior to executing them. Simplify the amount of decision making a player needs in order to act. Reduce lengthy periods of downtime by allowing players to take turns performing a single task. Long-term strategic planning can suffer for inexperienced players. There is potential for there to be too many phases resulting in confusion. The downside to implementing phases is that the benefits can be eliminated by having too many phases. If a player has to jump around between areas of the board, playing cards, moving tokens and selecting tiles it can hamper the long-term planning more than benefit it. Race for the Galaxy can be a rough ride for players during their first few outings, but it does a great job of simplifying the turn structure so that a player who is having difficulties can follow along with more experienced players. Each round players select an action after which everyone plays out the action in order. Although a new player may not have the experience to decide between different actions, they will be able to observe and execute several of the actions each round, becoming more familiar and have the ability to ask questions and confirm they are playing correctly. In Speculation, an action tile is drawn each round which allows players to perform an action related to the stock market. Usually these actions involve buying/selling stock or adjusting the performance of a stock by boosting its value or suppressing its value. During these actions one or more players are able to make interesting but simple decisions to influence their position. On occasion no action will be performed and the players move on to the next round. Speculation keeps the game moving by not forcing players to perform an action during every single round. This reduction of decision opportunities is an additional way to break down turns as players are able to see the stock market valuations change over time between periods of action. Players also don’t have to face the redundancy of passing during most turns and buying and selling opportunities become interesting moments of tension. Numerous games use a rondel mechanic to break down turns into smaller action phases. In Antike each payer selects just one of the actions each round to perform. The added benefit of the rondel set-up in most games that incorporate it is that it discourages players from repeating actions unless they are willing to pay extra for it. New players may prioritize the upcoming actions while they consider long-term planning while navigating the rondel. As players observe the various actions several times they will gain the experience to plan effectively. There are plenty of other examples of phases used to break down some of the complexity exposed to new players. Power Grid intertwines the phases with turn order to hold back the player who is leading in some areas of the game. New players who are under-performing can benefit from lower costs in addition to many of the aforementioned learning perks. The digital medium has the ability to introduce complexity far more rapidly than traditional board games. One of our favorite game design authors, Max Seidman of Most Dangerous Game Design, wrote about this in great detail in an article about “Scaffolding”. Max writes of several options to gradually introduce mechanics to new players. One that particularly relates to our idea of Navigation is the decision to restrict early player decisions. 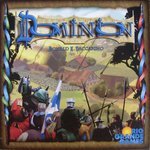 Max brings up two great examples in Dominion and 7 Wonders which each have different methods to restrict player choices. In Dominion players begin with reduced income and thus only some of the available cards become viable options. As players increase their income, they have the ability to explore and purchase cards with higher costs which will usually carry the greatest benefits in the game. In 7 Wonders, players draft from a hand of 7 cards, reducing the number of options available that players must decipher. Players still don’t have the benefits of Navigation to assist in selecting between those cards, but restricting the options is a step in the right direction. While scaffolding doesn’t entirely encompass our objective of Navigation, it is an important consideration for our goal of implementing the broader aspects of approachability. Restricting the options of players during a game can help to reduce opportunity costs and the hesitation they may bring to players without experience. As you have seen with Navigation, most of these problems are resolved as participants gain experience. One of the key considerations with approachability and designing games is avoiding areas that are entirely based on experienced play. One of the most frustrating areas for new players to navigate is being forced to value things you have no idea how to value. Modern Art uses several methods of types of auctions in order to value paintings which players collect in order to determine final scores. Open auctions allow players to bid in small increments which can help new players get an idea of the valuation of a painting in an early round. The king of the valuation problem is a hidden auction in which players submit a closed bid. This can be disastrous for new players as they will struggle to determine an appropriate bid amount, often being an outlier to the bids of the remaining player. Part of the issue in many other games (that is not an issue in Modern Art) is that players are valuing objects in one currency but bidding in another. As I learn a new game I may be able to determine that a given tile up for auction is worth ten points as it would complete a full set. The problem is I’m bidding in ducats and I can’t really figure out an appropriate exchange rate of ducats to points until I’ve played at least several rounds of the game. The final area of navigation we’ll look at for this article is how new players will predict the end of the game. In plenty of games this becomes a crucial observation that experienced players will use as an advantage over new players. An abrupt ending to a game can be anticlimactic and be a disastrous experience for first time players who can’t really see the endgame coming. A game will benefit from telegraphing to all players when a game is coming to a close so as to raise the general level of awareness for new players. The most straightforward method to implement a predictable endgame is by using a predetermined number of rounds. Games like Small World, Hotel Samoa, La Citta and Castles of Burgundy each end after a specific number of rounds. Everyone is on the same page and there aren’t any surprises with this method. While a fixed number of rounds allow beginners the ability to observe repetition and foresee the endgame, it doesn’t necessarily need to be so structured to give players adequate information about the end of the game. It can be determined by dwindling resources, a track the board or something else entirely. San Juan ends on the turn in which a player builds a twelfth building. Players can begin to see the pace of the game after just a few turns and the game will often maintain a similar pace as it approaches the final turn. China ends once the draw deck runs out twice which is a great feature as players can take note of the halfway point while playing in order to anticipate the end of the game. Abstract games like Othello, Ingenious and Samurai each have end conditions when the space on the board has run out, which can benefit the visual flow of the game toward a conclusion. The end of a game of Power Grid can frequently be a surprise to new players as it can arrive rapidly and at a pace which is varied from earlier in the game. Power Grid uses multiple approaches to address this although its probably fair to say nothing will resolve the issue more than experience. The game primarily uses steps in order to alert players to the progression of the game. Step 3 usually initiates the final act of the game but players can trigger the end of the game even before it arrives. Players are also given a static city count which will end game once achieved. This gives everyone an item to track in order to observe progress towards the end of the game. The endgame pacing of Power Grid actually isn’t the greatest hurdle for new players, but it is a good example of what to keep in mind while working on your game designs. Look to provide new players with some observable reminders of when the game may come to a conclusion so that they may adequately shift their plans. An abrupt ending that catches players entirely off guard is perhaps the easiest way to destroy the enjoyment they have had up to that point. It may come as a surprise to some of our frequent readers but on occasion even I have to give in to the idea of a word limit. As I still have plenty left to cover on Parsimony and Assurance, I’ll conclude this here as part I. Continue to part II which includes a full conclusion that ties these concepts together. how do these interact with concepts like scaffolding?